This Printz Honor Book is a “tender, honest exploration of identity” (Publishers Weekly) that distills lyrical truths about family and friendship.\n\nAristotle is an angry teen with a brother in prison. Dante is a know-it-all who has an unusual way of looking at the world. When the two meet at the swimming pool, they seem to have nothing in common. But as the loners start spending time together, they discover that they share a special friendship—the kind that changes lives and lasts a lifetime. 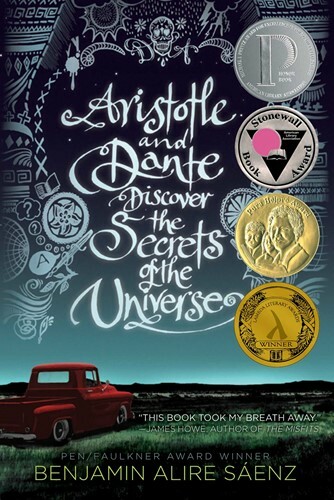 And it is through this friendship that Ari and Dante will learn the most important truths about themselves and the kind of people they want to be.